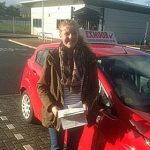 Well done to Jemma Abel with her first time pass with 0 driver faults and only 9 weeks after her 17th birthday! 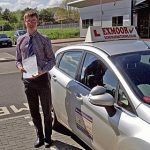 Congratulations to Daniel Pocock with his first time pass with 0 driver faults. 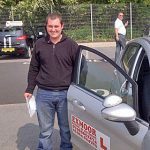 Congratulations to Robin Fieldhouse with his first time pass with 0 driver faults. 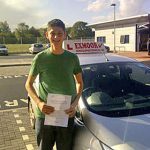 Jonny Warry with his first time pass with only 3 minors. A pleasure to watch from the back seat! 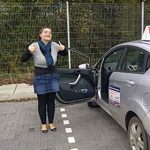 Well done to Leanne Candy on her first time pass on 5th October 2011. 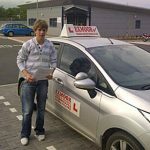 Managed to control your nerves on the day! 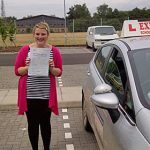 Congratulations Stacey Chilcott who passed her test first time on the 3rd January 2014 with 0 faults. 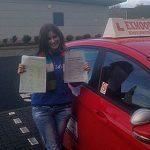 Congratulations to Kezi Mitchinson who passed her test first time on the 23rd January 2014, with a clean sheet.